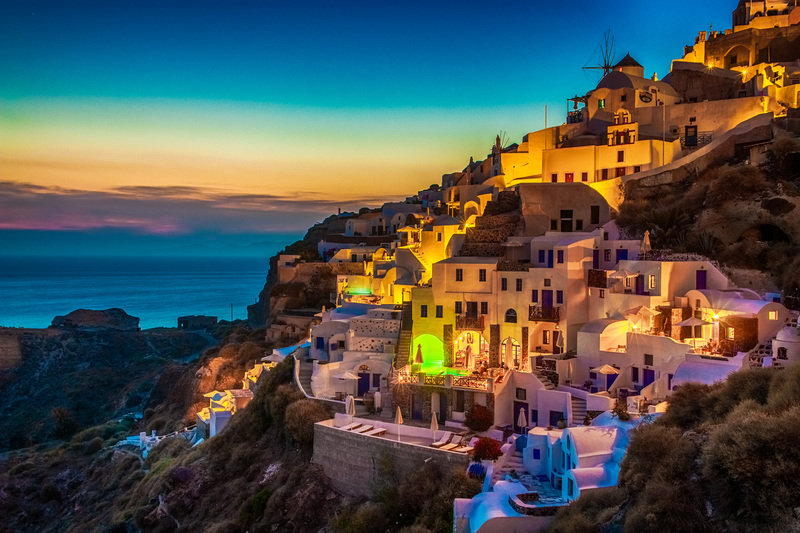 During the blue hour, Oia is illuminated beautifully and the last daylight is leaving at the horizon. 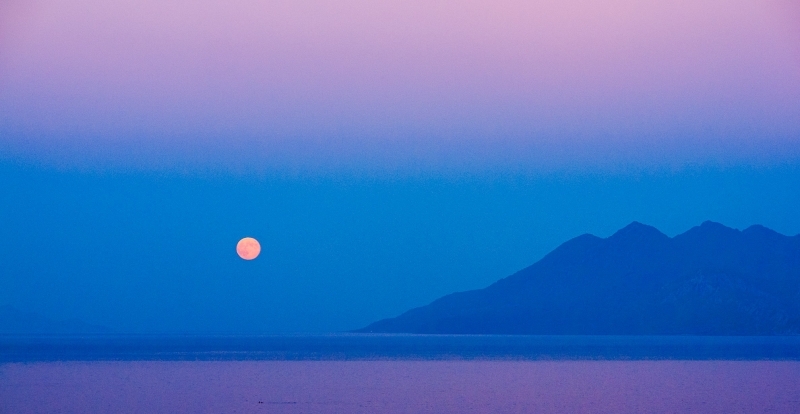 This creates a great mood at Santorini, which only few tourists will see because they all left after the sun had set. 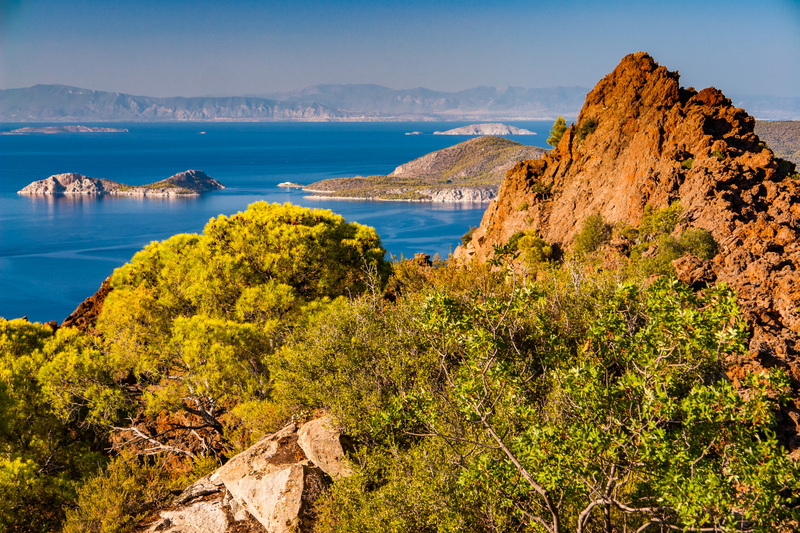 From Palea Epidauros (here seen from Hotel Yialasi, Panagia), there is a great view to Methana, a volcanic peninsula connected to the Peloponnese. If it is full moon and the moon rises during twilight, it gives a very moody view. 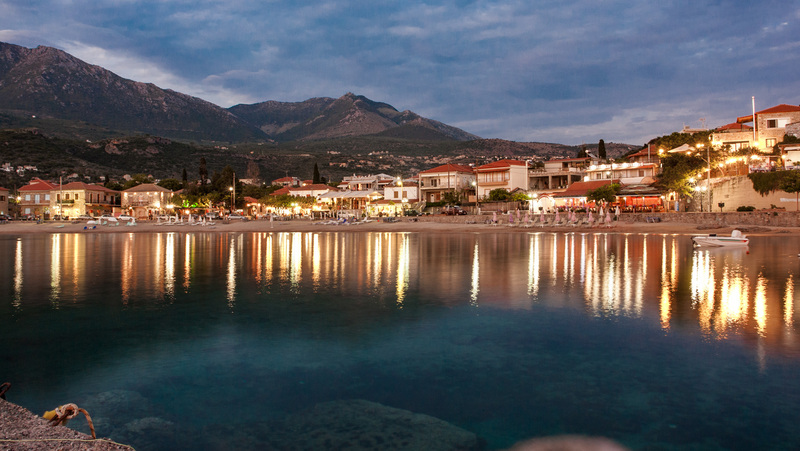 The comfy village of Stoupa (Mani, Peloponnese) looks very nice at night, when the lights are turned on, like on this picture. From this spot you have a nice view onto the small village called Lefokastro on the Pelion peninsula in Greece. This picture shows the sunset in Kyparissa at the western coast of the Peloponnese. 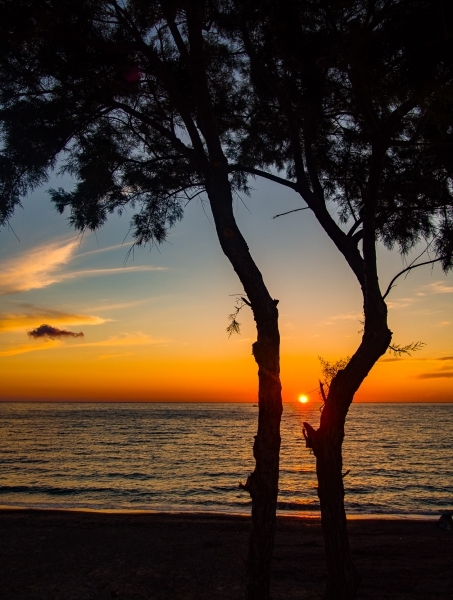 The last sun of the day, low over the horizon, shines through two pine trees. 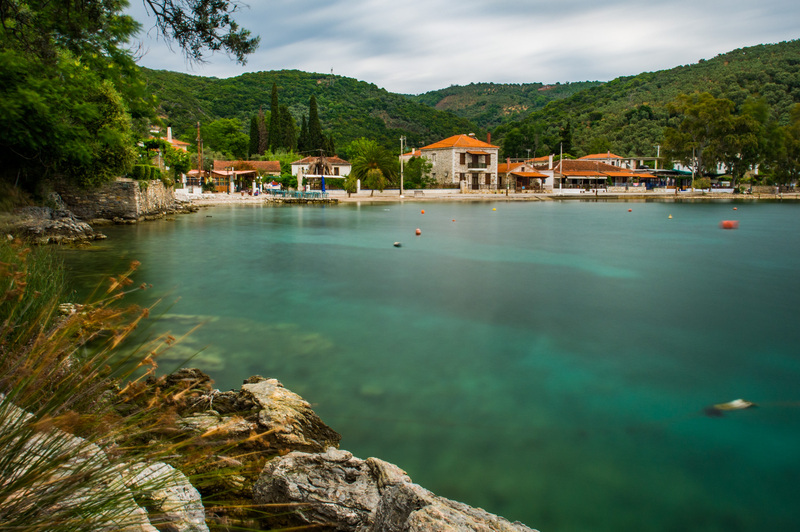 At this beautiful sandy beach of Stoupa in the Mani, some cliffs and fishing boats can be found, nicely arranged. In the evening, after darkness has fallen, this arrangement combined with the illuminations gives a nice long exposure with a great mood. 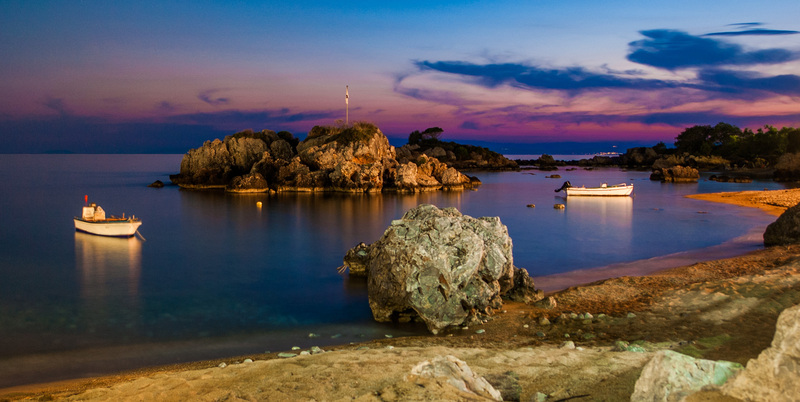 This photograph shows the coast at Kardamili (Kardamyli) shortly after sunset. 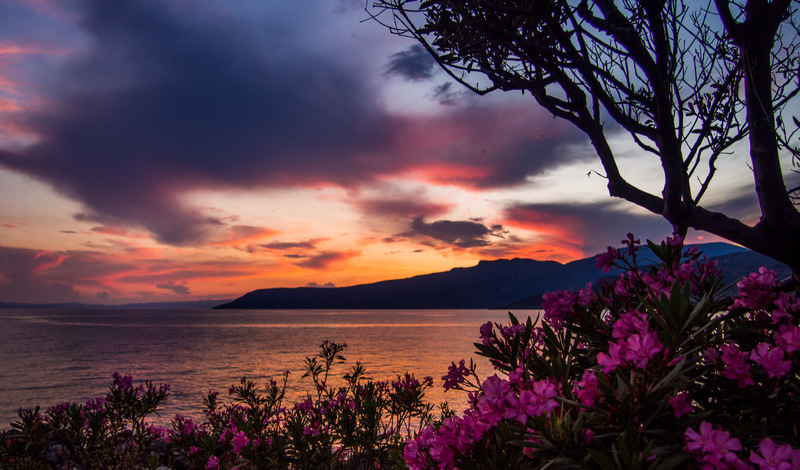 The clouds are still being illuminated by sunlight while the flowers are being illuminates softly by the flashlight of my camera.